Pipe-Major Sean Somers has established himself as one of the top professional pipers from the Canadian Prairies, gaining accolades as a leader, bandsman, soloist and composer. He started piping at the age of 8, and got his first lessons from his father. Sean has been a consistent prize-winner in professional piping contests throughout North America and is also the pipe-major of the Grade 2 Rocky Mountain Pipe Band (RMPB) based in Calgary, Alberta. Under Sean’s leadership, the RMPB has established itself as one of the premier competitive bands in Western Canada. As its pipe-major, Sean has led the RMPB to win the North American Pipe Band Championship (2017), the BC Indoor Annual Gathering (2017, 2018), the Mid-America Championship in Chicago, USA (2018), consecutive Alberta Provincial Championships, (2014-2018), multiple Northern Canadian Championships, and many other top prizes at local Highland Games throughout Western Canada. With many appearances in the Grade 1 finals at the World Pipe Band Championships, he is also the former pipe-sergeant of the Grade 1 Alberta Caledonia Pipe Band, and former key member of The 78th Highlanders (Halifax) Pipe Band where he won both the Canadian and North American Championships in Grade 1. 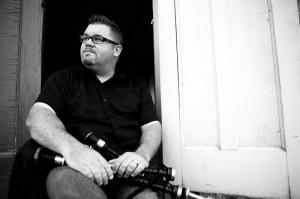 Sean spent his formative years with The City of Regina Pipe Band and credits his former teacher, P/M Iain MacDonald (Regina) and Barb MacDonald as major influences on his piping career. Sean is the former Principal Piping Instructor at the College of Piping (PEI), and has since continued to teach regularly at workshops and at summer schools. More recently, Sean has enjoyed opportunities to lecture and give recitals in addition to his teaching.